I used to live with my mom (who I also love dearly), but the time I spent apart from my dad made spending time with him a little special. 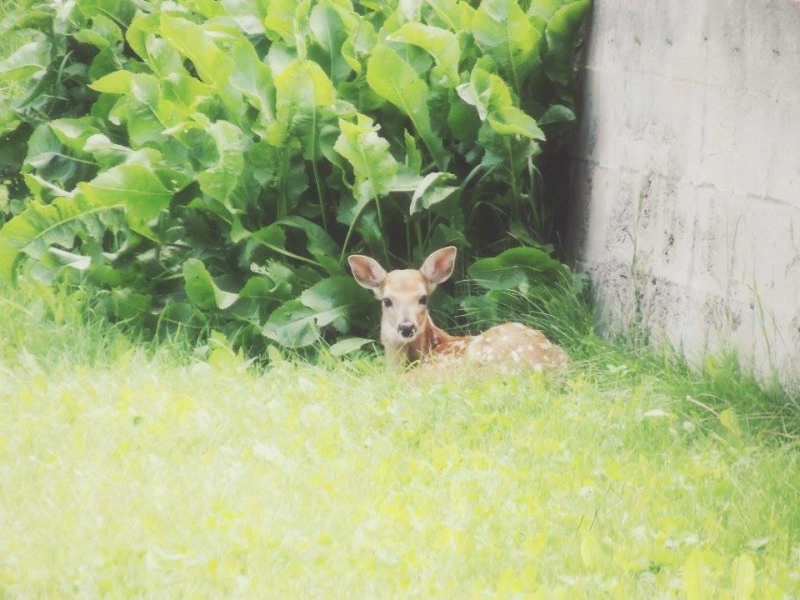 I took this photo of a fawn when we were sitting in his backyard. It was the perfect day. We usually spent our summers outdoors. I haven't been home in three or more years since I'm pursuing an art degree in Pittsburgh, and though my parents support my dreams and endeavors, I sometimes miss my hometown. I remember family camping trips, and how we used to go on rides in his truck around the backroads of our town-it was a nice way to ease my anxiety and think about things. Nature revitalizes the soul.